A wrongful death lawsuit is filed on behalf of someone who died as a result of another party's negligence or wrongful actions. Only the executor of the decedent's estate (usually a family member) can file the wrongful death suit, and only designated "distributees" can receive compensation. In this section you will find information on the most common causes of wrongful death as well as possible legal recourse that you or other family members might have. If you have recently lost someone due to another party's negligence, this information should be very useful to you. The statute of limitations for filing a wrongful death lawsuit ranges from one to three years after the death in question, depending on the state in which the suit is filed. Thus, if you believe the death of someone you know occurred due to negligence or intent to harm, it is important that you contact a wrongful death attorney in your state immediately to determine your rights and learn about settlements and court awards. 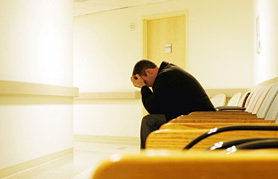 Wrongful death lawsuits are usually handled by a personal injury lawyer. Personal injury lawyers have experience litigating cases involving the injuries that lead to wrongful death. The causes of wrongful death are many and varied, from defective drugs and products to car and bus accidents. Over the years, various pharmaceutical companies have failed to notify the FDA, physicians and consumers of dangerous defects in their drugs. Companies that knowingly hide serious side effects are liable for the consequences. Not even FDA approval relieves a company of its responsibility to the consumer, nor does it protect the company from liability. When the effects of defective drugs lead to premature and wrongful death, a wrongful death suit may be filed. Manufacturers have a responsibility to provide safe, effective products to consumers. A company's failure to recognize a defect in one of its products  or to report that defect to retailers and consumers  is grounds for a lawsuit. Product liability lawsuits involving everything from car tires to defective medical devices have played a major role in removing defective products from the shelves and out of the workplace. However, not all defective products are removed before they cause harm. If a known defective product has resulted in the death of someone you know, a product liability attorney can provide you with examples of settlements and help determine your legal recourse. Although doctors and hospitals work hard to provide quality patient care, thousands of medical mistakes and incorrect diagnoses occur each year. Sometimes these mistakes and misdiagnoses lead to harm or injury. Cases of negligence or malpractice that lead to a patient's death may be grounds for a wrongful death suit. People who work in the petroleum and chemical industries are often exposed to hazardous substances. Toxic exposure, also known as industrial exposure, can lead to devastating illnesses and diseases, including respiratory disease, blindness, hearing loss, mesothelioma and other types of cancer. The insidious nature of some of these ailments is one of the most tragic aspects of toxic exposure and poisoning; by the time people realize they are ill, it is often too late. Employers that knowingly expose their employees to toxic substances without taking the proper precautions are guilty of negligence. Toxic exposure leading to death may be grounds for a wrongful death lawsuit. Defective vehicles and negligent driving behavior account for thousands of accidents and injuries each year. When someone dies as a result of another party's negligence, it may be grounds for a wrongful death lawsuit. Below are some of the most common types of accidents and injuries leading to wrongful deaths. Automobile Accidents. The most common type of personal injury claim, car accidents often occur due to negligence on the part of one of the drivers. Drivers who cause car accidents while under the influence may face any number of penalties, including DUI jail time. SUV Accidents. SUVs have a higher chance of rolling over than any other type of motor vehicle. Measures that force SUV manufacturers to produce safer vehicles have been put in place, but they are by no means foolproof. Van Accidents. Vans, especially 15-passenger vans, are also more likely to roll over than other types of motor vehicles. This tendency is worrisome because 15-passenger vans are often used to transport children to and from sporting events and other recreational activities. ATV Accidents. ATV accidents are on the rise, particularly among children. Despite the efforts of pediatricians and children's hospitals, foolproof safety measures have not been adopted. Bus Accidents. Bus accidents are also becoming more common. Many of these accidents involve tour bus operators who have worked extensive hours. The widespread lack of seatbelts in buses  including school buses  is another source of many bus accident injuries. Boating Accidents. Boating accidents represent yet another type of car vehicle accident that is on the rise. Common causes of boating accidents include alcohol, carelessness, reckless operation, excessive speed and operator inattention. Drowning. Drowning is the second leading cause of death among children and can occur in as little as two inches of water. All too often, drownings in pools and other bodies of water are the result of negligence. The accidents and issues outlined above are just some of the things that can lead to wrongful deaths. Other causes include slips and falls, motorcycle accidents, trucking accidents, airplane accidents, defective medical devices and criminal acts. Any settlement or court award granted in a wrongful death case goes to the estate of the deceased and can be transferred from person to person if the will directs the executor to do so. In a few states, the plaintiff can request punitive damages when malicious wrongdoing is a factor. Most states, however, do not allow punitive damages for wrongful death suits. To find out if punitive damages are a possibility in your state, you will need to speak with a wrongful death attorney. If you believe a family member was the victim of wrongful death, it is very important that you contact legal help for death claims as soon as possible. The statute of limitations for wrongful death cases varies from one to three years depending on the state, and your attorney will need time to gather evidence and file the appropriate paperwork before this deadline lapses. Wrongful death suits are brought by the executor of a decedent's estate, and only surviving family members or other distributees can receive compensation. Any compensation awarded in a wrongful death case goes to the estate of the deceased and can be transferred from person to person if the decedent's will directs the executor to do so.